Sunnyside Solar Energy designs and installs solar electric and solar hot water systems for residential and commercial clients. Call our experts for a site analysis to determine the best green energy solution for your site. We are experienced solar designers and Professionally Licensed Engineers who will custom design your solar solution. We have designed and built utility systems and we were published in the national trade magazine Solar Pro. Our company has earned the reputation for reliability and responsiveness as well as high quality solar designs and installations. Click here to see our photo gallery of recent solar panel installations. We are passionate about energy efficiency and truly clean solar energy! Meet the Sunnyside Team. Looking for more information on solar? Our Resources Page can help you get started. 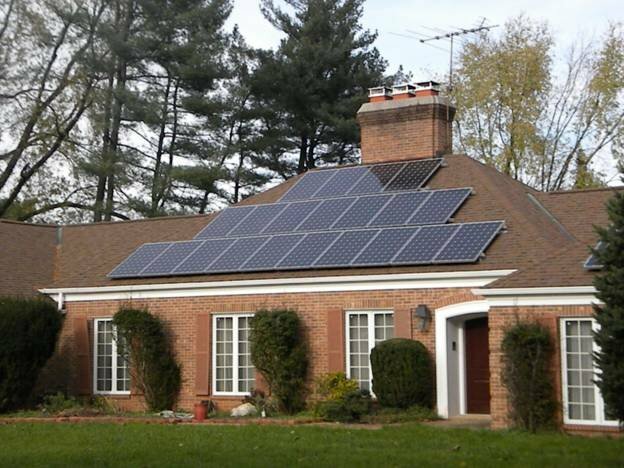 We specialize in the custom design, installation, maintenance and repair of solar energy systems in the Maryland and central and southern Pennsylvania﻿ area. We can install solar hot water and solar (PV) panels at your site.